Are you looking for a place with an unlimited variety of wedding venues, fantastic photography locations and a plethora of unique honeymoon destinations? Then the search for the perfect wedding destination is over - South Africa is the only choice. The energy of its African roots flows through its veins, bringing a zest for life and a healthy appreciation for Mother Nature. The intricate design of its colourful society brings forth an eclectic mix of traditions, values, talents and strengths; a true example of how passion and a positive attitude can overcome times of great sorrow. South Africa is the southern-most country on the continent of Africa and it stands as a respected powerhouse of economic strength and political stability when compared to a vast number of its African counterparts. A thriving democracy, South Africa boasts an impressive array of different cultures, languages, natural resources and national pastimes; as well as a unique blend of friendly hospitality and invigorating local flavour. It also has an awesome variety of natural terrain including exquisite sandy beaches, teeming oceans, breath-taking mountain ranges, arid desert regions, lush forest vegetation, romantic vineyards, captivating wildlife in the open bush and all types of productive agricultural land. This natural beauty is part of what makes this country an unrivalled location for a destination wedding – who can possibly say no to exotic wedding photographs bearing the graceful silhouette of a sanctuary cheetah, or pass up a backdrop of a gorgeous Cape sunset as it paints the open sky beyond the vineyard? Main Religions: The three largest are: Christian (including Catholic, Zionist and Pentecostal churches), Hindu (including Tamil) and Muslim. Major Holidays and Festivals: There are 12 National Holidays during the year, which take into account both the Christian calendar and historical events. A sizeable country, filled with endless variety of landscapes and colourful cities, there are indeed an unlimited number of attractions and activities to be found around South Africa; and this makes choosing the perfect itinerary a fairly daunting task for prospective visitors. A great place to start would be to decide on your preferred wedding type or location. For example, do you prefer beach wedding celebrations or quiet mountain hideaways, thriving wild savannah or urban jungles, candle-lit vineyard weddings or intimate hill-top weddings with ocean views? Once clear on the type of wedding location, the task of finding an ideal venue becomes that much simpler. The next step would be to consider your hopes for sight-seeing, local activities, cultural experiences and famous attractions. Do you want to see Cape Town’s famous Table Mountain, its stunning white beaches and its sophisticated Wine Route? Or does the call of the wild excite your inner child with daydreams of majestic elephants, powerful lions and graceful antelope, fighting for survival in their natural environment? Do you want to bungee jump from the highest bridge in the world at Blou Krans and see the winding hills and coastal beauty of the beautiful Garden Route? Or is it the vibrant cities and colourful cultural gems, where rural tradition meets urban vibe that inspires your soul with the energising beat of the African drums? 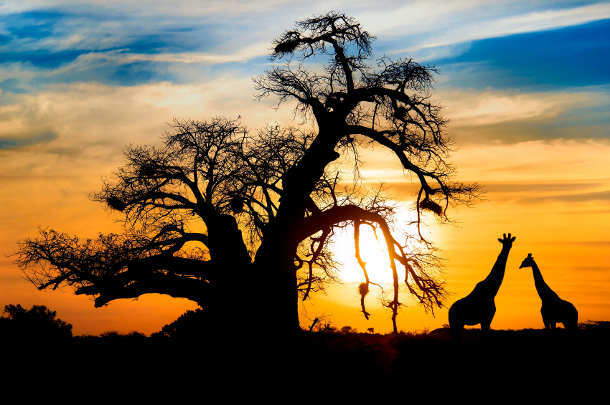 South Africa’s temperate climate is one of the main attractions for overseas visitors and its subtropical location, ocean borders and varied altitudes, brings sunshine and clear blue skies to the country, for most of the year. It has four, clearly-defined seasons, each spanning about three months; Spring (September-November) between 15 and 22 degrees celsius, Summer (December-February) between 25 and 35 degrees celsius, Autumn (March-May) between 10 and 22 degrees celsius and Winter (June-August) between 5 and 20 degrees celsius. Spring and summer bring a lot of rain in most parts of the country (with the exception of the Cape Town region that tends to have winter rainfall). Coastal regions are generally more humid in the summer and the temperature in inland and higher altitude regions tends to drop below zero during winter nights. The best season for weddings in South Africa has to be spring, especially September, when the thousands of indigenous flowers are in bloom; and Autumn, especially April, when the temperatures have cooled off and the warm autumn colours are spreading through the landscapes. South Africa is not referred to as “the rainbow nation” without good reason. There is a large variety of cultures, languages, lifestyles, cuisines, attractions and talents; it’s a vibrant mix of colourful people whose zest for life is palpable and contagious. There is an innate pride that is evident in the South African people and it permeates every facet of life in this beautiful land. South Africans have their own way of talking (sometimes mixing two or three languages at once), their own fashion sense, their own tasty cuisines and a free spirit that continually strives for something better, something higher. South Africans are famous for the home-cooked goodness that comes from local kitchens and it boasts a wide variety of delicious cuisines thanks to the exciting influences from its mixed bag of cultures. This range of influences combined with the friendly local hospitality, fresh ingredients, reasonably-priced alcohol and delectable South African meats, makes South Africa a mouth-watering haven for food lovers; it’s also especially affordable for discerning overseas visitors. South African cuisine, like its culture, offers an amazing array of different flavours. Its fruit and vegetables are cheap and in abundance, meat is fresh and juicy, freshly baked goods are simply delicious and herbs and spices are used generously. There are also traditional Indian curries, African staples and Afrikaans dishes that are highly unique to South Africa; as well as fabulous South African desserts such as Milk Tart, Lemon Meringue pie, Malva Pudding and the widely-known favourite, Peppermint Crisp Tart (named for its ingredient of the South African chocolate bar, Peppermint Crisp). Restaurants sometimes include a service charge of ten to fifteen percent, but if not, tipping is generally expected since waitrons are paid a very small basic wage and usually rely on tips to supplement their income. A tip of fifteen percent is the suggested minimum, but extended generosity is certainly appreciated. Value-added tax (VAT) stands at 14% and is payable as part of the total sum, for non-registered vendors. As South Africa offers a wide range of choices for almost all types of weddings, you are sure to realise your dream wedding; and also something that fits your budget. A typical wedding in South Africa (about 150 guests), could cost anywhere between R40 000 and R200 000 ($3 900 to $20 000); depending on key cost factors such as venue, décor, catering, flowers and photography. The ceremony and reception held at one venue, especially for weddings that are held in more rural locations. Wedding venue fees on a ‘per head’ basis (usually all-inclusive of the caterer, draping décor and other basics). It is difficult to give cost estimations, however, for an all-inclusive type of venue, which stipulates specific partner suppliers/contractors and, which needs to be completely booked out for the wedding (for example, a game lodge or a wine estate), the costs will definitely be a little higher than normal. Photography and videography services, catering and flowers are also major cost areas that vary greatly depending on the suppliers chosen. Generally, most suppliers in South Africa will have no problem accepting payment via credit card or an online banking transfer and these would be the recommended methods of payment. The only exceptions you may find would be for smaller suppliers (for example, in rural towns), who may require cash or personal cheque. It is always best to check the payment options upfront. You should request a receipt and/or contract of agreement wherever possible. As in any country where crime exists, be extra careful about giving personal credit card details and social security information to unknown suppliers or over the phone. As a precaution, it is also advisable not to carry large amounts of cash or flashy valuables on your person while travelling around the country. The following notes are not comprehensive and are intended as a guide only. Before planning your wedding in South Africa we strongly advise you to contact the South African embassy in your home country or your country's embassy in South Africa to obtain up-to-date legal requirements. For non-citizens, parties must complete the BI-31 form (Declaration for the Purpose of Marriage), which must be completed in the presence of your Marriage Officer. For legal purposes, two witnesses and the Marriage Officer sign the marriage register after the solemnisation of the marriage in the designated venue. For more details from the Department of Home Affairs in South Africa click here. The marriage certificate takes approximately six to eight weeks to be issued. The Marriage Officer should be able to provide sufficient information about the legal process for certification and registration, in addition to the website link above. There are nine provinces in South Africa, each with its own administrative capital and its own unique attractions. Find out more about the Provinces of South Africa or browse our South Africa Wedding Directory to start planning your dream wedding.